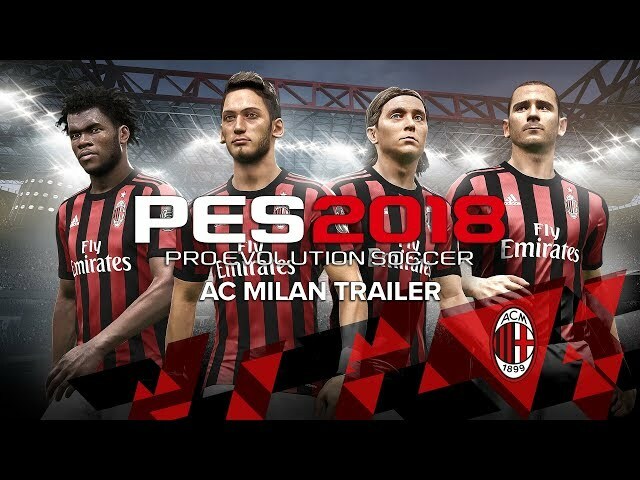 Konami Digital Entertainment B.V. has reached a global partnership agreement with the Italian football club AC Milan. Established in 1899, AC Milan is a club renowned for its great history and heritage, having won the Italian League 18 times and UEFA Champions League 7 times. Additionally, they are the most successful Italian team in Europe, winning an impressive 14 titles. A club full of prestige and known for its iconic 'Rosso Nero' colours, AC Milan are in an elite group of teams with millions of fans around the world. The global partnership agreement will see KONAMI not only recreate the playing styles of the first team squad, but also their movements and tactical abilities with incredible detail. 2017/10/10 Konami confirms Partnership with Arsenal! 2017/08/18 KONAMI sign exclusive deal with David Beckham!